Have you checked out our post about the Life Stages of Human Beings yet? If not, be sure and read it after you finish reading this one! It was so much fun and we show you many of the activities we did during that unit. In this post, you will see what we have been doing for the past couple of months in our botany unit. I didn’t take pictures of every single activity, craft and book, but I will make sure you get a really good idea on how this unit went and how you can implement it in your homeschools. 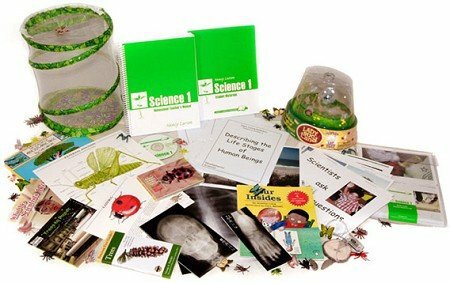 We have been using Nancy Larson’s Science 1 Kit and it has been amazing to us! We enjoy it so much! The lessons are thorough, entertaining, to the point and very, very cool. I personally love writing these review posts for every unit we complete because we get to show you just how cool this kit really is. 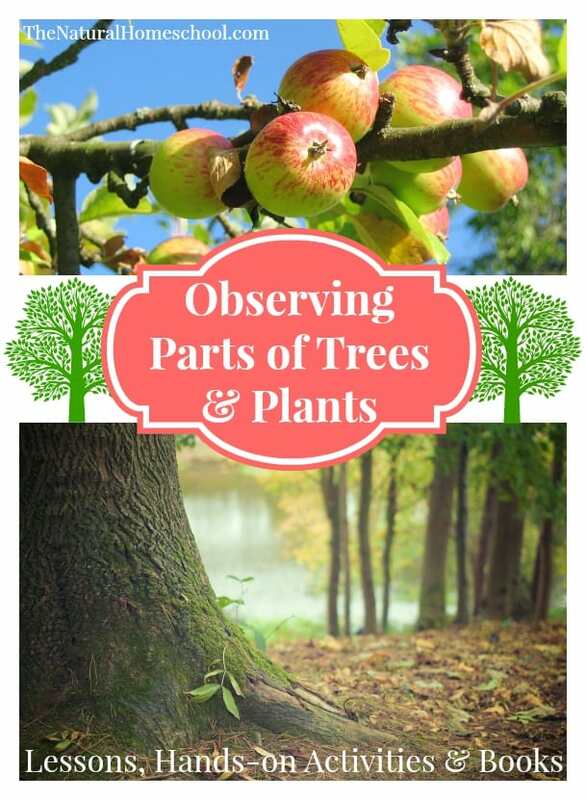 We started our Science Unit B: Observing Trees a few weeks ago. This was, fortunately, right before the heat of summer hit hard were we live. We were able to do some lessons in the outdoors and it was fantastic going for nature walks to explore, observe and analyze trees and plants. In the Nancy Larson Complete Program (Science 1), we have all the lessons spelled out for us in script form. It is so easy to follow the lessons, find the books to be used in each lesson and we even have a printable list of books we can check out at the library that coincide with each lesson. We only took one book from the library for each lesson, but there are 3-4 options for each lesson. It is so neat to be able to pick and choose! 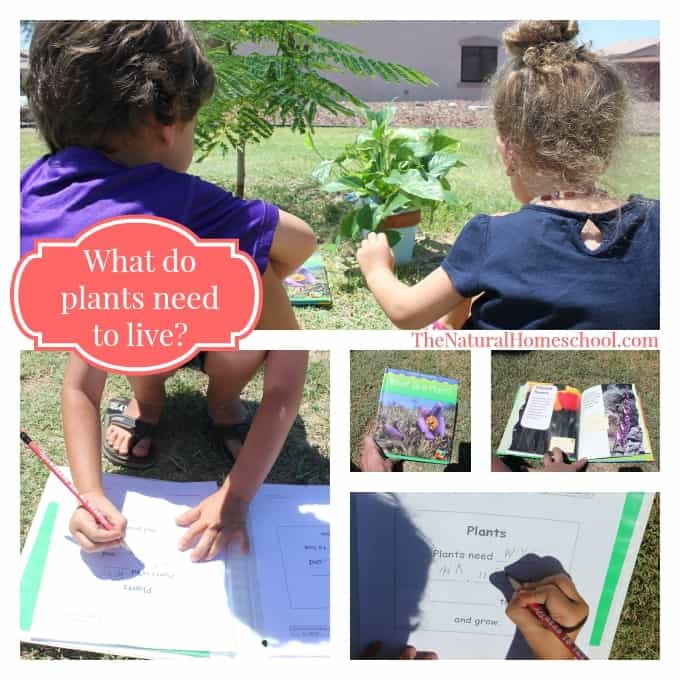 We got “What is a Plant?” for our first lesson. We read it outdoors (sitting by some plants, of course) and we discussed every page. 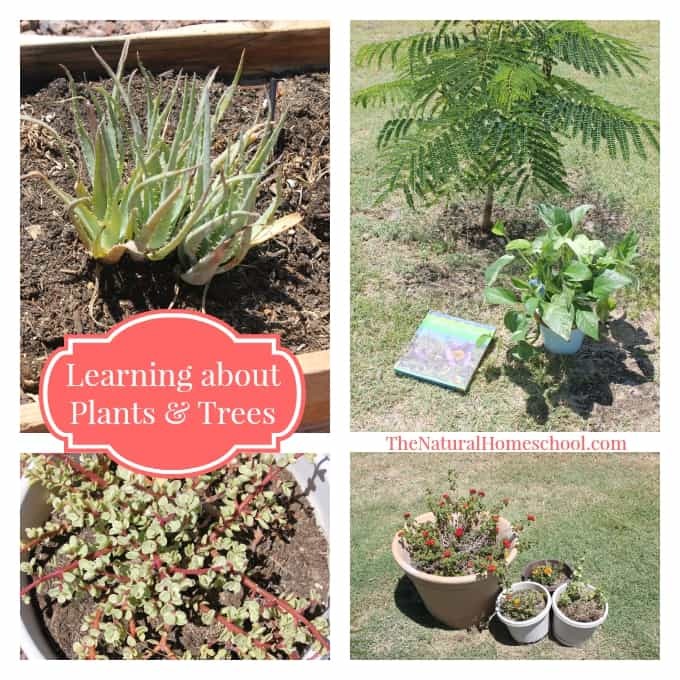 This lesson sparked a super fun and interesting conversation between us. We learned what plants need to live: water, air, light and nutrients. 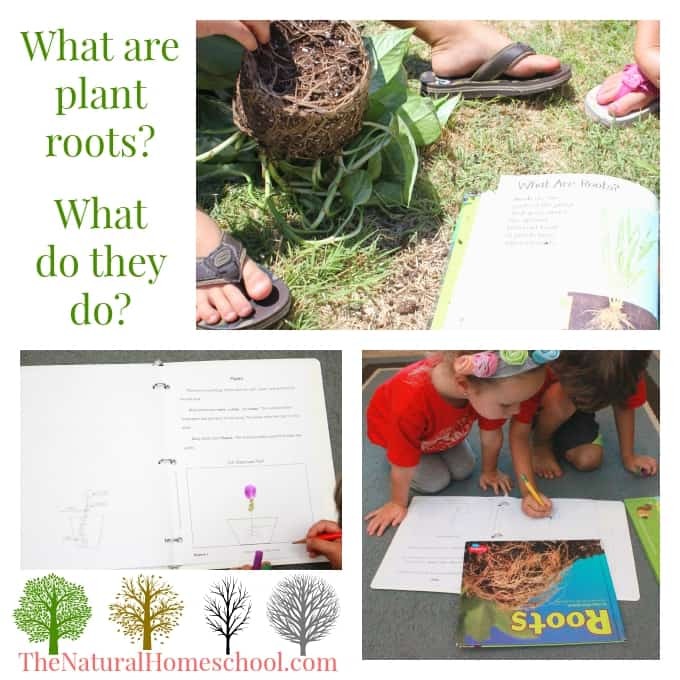 We filled out the workbook pages outside before looking at the roots of a plant. I only have one copy of this workbook, so I let Brother do the writing and Sister do the drawing and coloring. They are a great team, don’t you think? We also read the book “Roots.” It was super and I highly recommend it. While we were still outside, I removed the pot and turned the plant around. We analyzed the roots and we were in awe at how tangles and long they were. We followed one around and around until we lost it in the dirt. Roots might seem mundane, but to us, they are fantastic! We enjoyed making drawings of plants and labeled the parts of the plant. Coloring was Sister’s favorite part. As the lessons in this unit progressed, we learned about trees in our habitat. We observed and compared leaves, we identified and labeled the parts of a tree and we learned to identify characteristics of shrubs by going outside and looking at them. Then, we identified leaves and learned the difference between broad leaves and needles. It was fun going for a nature walk and finding trees with broad leaves and trees with needles. 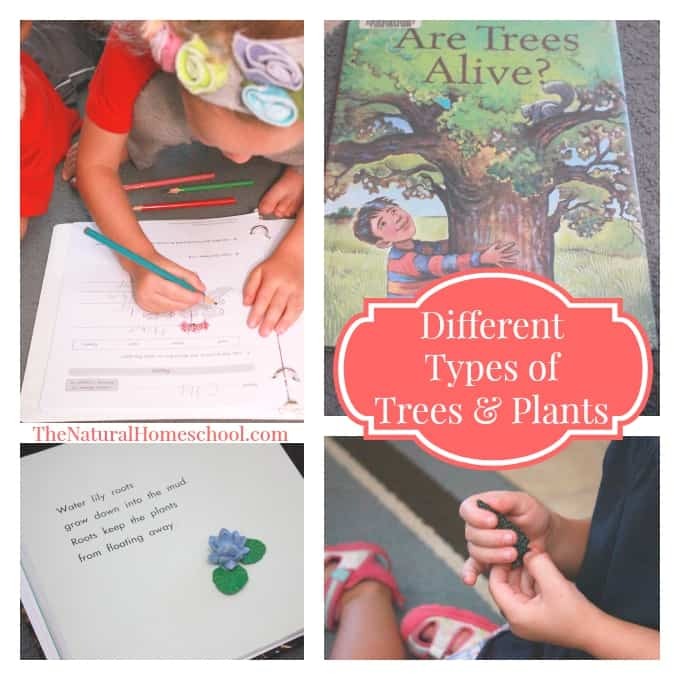 Last week, we learned all about deciduous tree and evergreens. We read more books. We looked at more pictures. We went on more nature walks. This week, we learned about the seasons and what characterizes each. We also learned what deciduous and evergreen trees look like during each season. For the last lesson of this week, we will be learning about seeds of broad-leaved trees. And we aren’t done with the unit! We are learning so much and we are looking forward to the lessons that are coming next week. After next week, we will be starting a new unit. That lesson will be learning all about sunlight, water and soil. We can’t wait! Would you like to learn more about this amazing program? Previous PostSalt and Sea Unboxes Science 1Next PostMy Kids Remembered What They Learned!